Wasilla and Palmer are just 40 minutes north of Anchorage, making them ideal day-trip destinations from Anchorage. 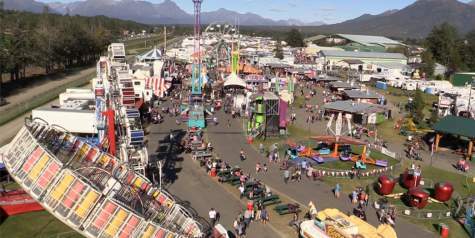 And as the largest cities in the Mat-Su Valley, they offer plenty to visitors coming for the day - or a week. Get out and explore these sister cities and don&apos;t forget to post your photos with #UinMatSu for a chance to win an Alaska Grown hoodie! Palmer was founded in 1935 as part of the New Deal, with more than 200 families relocating to the area to farm. Today, agriculture still plays a big part in the town&apos;s identity. You can learn more by stopping in at the Colony House Museum, or by taking a walking tour of downtown at the Palmer Museum of History and Art. Two farms are also interesting to visit - the Palmer Musk Ox Farm and the Reindeer Farm. Across the core area, Wasilla&apos;s history is rooted in gold. Wasilla and nearby Knik served as outposts during the gold rush era. Today, that history is on display at the Wasilla Museum (formerly the Dorothy Page Museum). 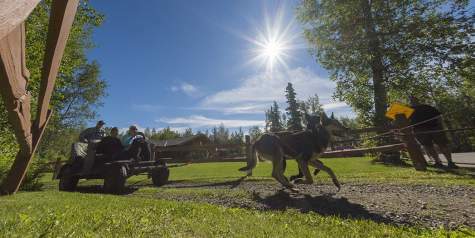 Wasilla is also home to the Iditarod Trail Committee Headquarters, which features an interesting video about the race, rides with a musher in the summer and a gift shop filled with race artifacts. Just north of Wasilla is the Museum of Alaska Transportation and Industry, which has Alaska Railroad cars, actual airplanes, tributes to early aviation pioneers and other relics from Alaska&apos;s past. Wasilla and Palmer have countless options for shopping, from large box stores to small, handcrafted shops in Palmer&apos;s walkable downtown district. No matter what you are looking for, you&apos;ll find it in Wasilla and Palmer. We encourage you to "shop local," and support the family-run businesses that cater to visitors and residents alike. For dining, get to the source - many Mat-Su restaurants feature Alaska Grown vegetables, meaning that if you come out from Anchorage, you&apos;ve traveled farther than your food has! The core area is also home to four great microbreweries, so get a designated driver and start your own beer trail. 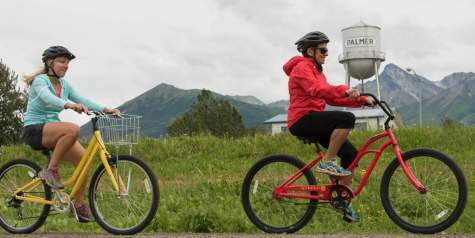 There are numerous trails in the Palmer and Wasilla areas, including Crevasse Moraine, Reflections Lake, Austin Helmers Pioneer Peak Trail and Lazy Mountain Trail. But for a quick hike that provides amazing views, locals look to Bodenburg Butte. 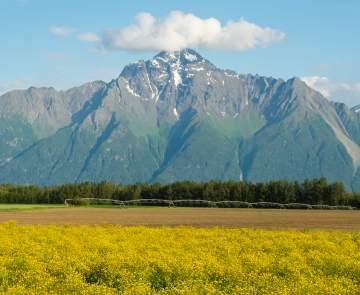 The Butte is 900 feet tall and the top features some of the best views in Alaska - a 360-degree panorama of the Matanuska Valley&apos;s farms, Pioneer Peak and the Chugach Mountains and Knik Glacier. To get there, take the Old Glenn Highway to Bodenburg Butte Road. From there, Mothershead Lane is a short gravel road that ends with a parking lot and restroom facilities. Download a map of the West Butte Trail. 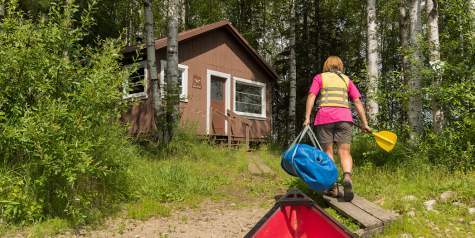 There are also several Alaska State Parks facilities in the area, including Finger Lake and Matanuska Lakes parks. The Wasilla and Palmer area is filled with quaint bed and breakfasts that make you feel like you are at home. Plan to spend a couple days exploring the area by staying at one of these inns, and add a trip to Talkeetna or Hatcher Pass to your itinerary. 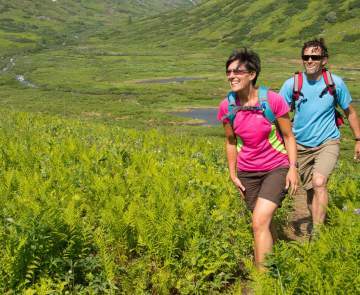 You don&apos;t want to miss anything on your Alaska staycation.